Sony is gearing up to bring another premium Xperia phone. 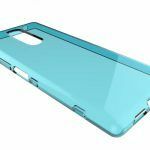 In the latest report, the real-life images of the Xperia XZ4 smartphone have been spotted revealing a tall screen and redesigned UI. Some of the previous reports hinted at a triple rear camera setup on the smartphone along with a dual pixel sensor offering ultrafast autofocus. 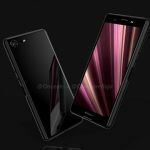 The company is expected to unveil the phone at the upcoming Mobile World Congress (MWC) 2019 in Barcelona. It will also be launching other Xperia phones at the event, which includes the Xpeira XA3, Xperia XA3 Ultra, and the Xperia L3. Let’s delve into more details on the premium Xperia XZ4 and what the latest leak reveals about the UI and screen. 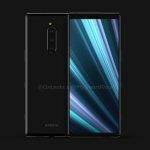 The leaked real-life images are not of good quality, but they do give us a glimpse of what the Xperia XZ4 would look like, especially its UI. The image of the UI is not a screenshot, it is an image clicked of the smartphone running it. We see the Android 9.0 Pie navigation bar and a transparent bar on the side that reminds us of the side sensor function on the Xperia XZ3. The functionality of this side sensor is to activate the single-hand mode that makes the phone easier to use it one hand. The Home button is pill-shaped and also the folder icons are quite quirky. We have not seen such shape of the folder icon on any other phone. The low-quality of the image makes it quite tough for us to judge the outlook of the UI. However, we can certainly conclude that Sony has tweaked the UI. As for the Dual Pixel sensor on the phone, it divides a single pixel into two that makes it easier to autofocus faster and also help in other functions such as Bokeh effect. Samsung also used the Dual Pixel sensor on its phones like the Galaxy Note 8 for faster autofocus and portrait mode. 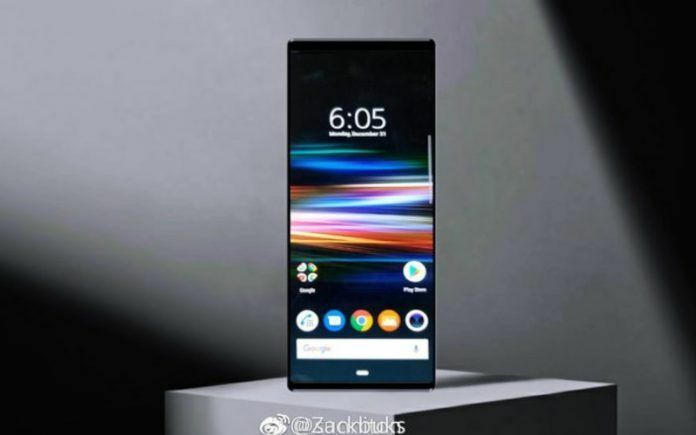 A mystery image has been spotted on the Chinese social network, Weibo that is claimed to have been clicked by the triple lens camera on the Xperia XZ4. A Weibo user posted the image with a caption (translated from Chinese) – A photograph found by a friend. The Exif detail of the image reveals the model number I8132 that reportedly belongs to the Xperia XZ4. We are not sure whether this image is genuine, but there is no harm in taking it with a pinch of salt. The reports also state that the Xperia XZ4 can switch to 21:9 aspect ratio for clicking images and recording videos. Interestingly, the mystery image is also in the same aspect ratio. Of course, the aspect ratio of an image can easily be tweaked in the editing process, but that’s a contributing bit to the alleged report. We can’t wait for Sony to make the phone official next month at MWC 2019 in Barcelona. All the rumors and reports about the Xperia XZ4 will come to a halt once we get our hands on the final draft. What’s your take on the Xperia XZ4? Share your thoughts with us in the comments below.